Appointment at the Tourist Office. Grouped into schools of fish or a chain of mirrors, learn to trust your senses! Discuss then on the candy-facades and become a Chinese poet. 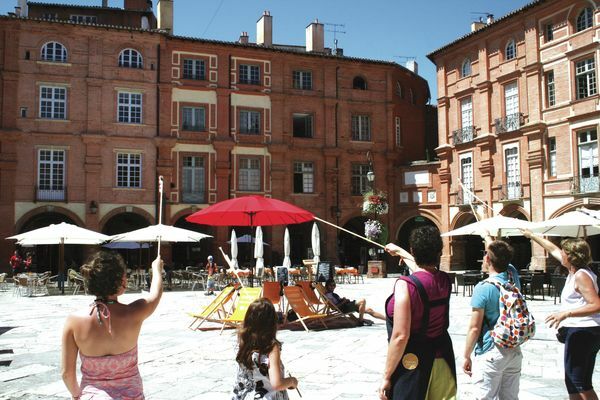 "Montauban upside down" offers you a renewed look on the city. Minimum threshold for the start of the visit: 6 people. Free tour limited to 20 people.